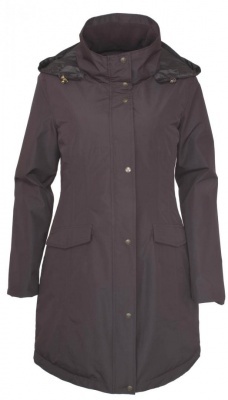 This fabulous coat is not only fully waterproof and breathable with taped seams but also features internal padding throughout the body of the coat ensuring that you will stay warm and toasty and but also remain completely dry. The coat also has a removable hood and useful pockets, one of which even includes a detachable treat pocket. As well as being super practical this coat is very stylish as the design incorporates shaping at the waist for a very flattering silhouette.